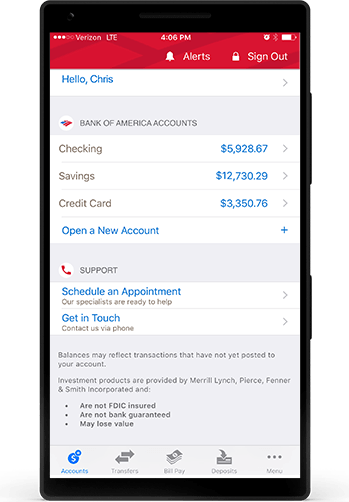 Your finances at your fingertips. 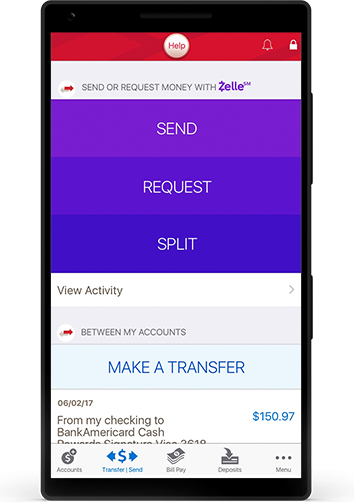 Check activity and balances for your accounts from almost anywhere. 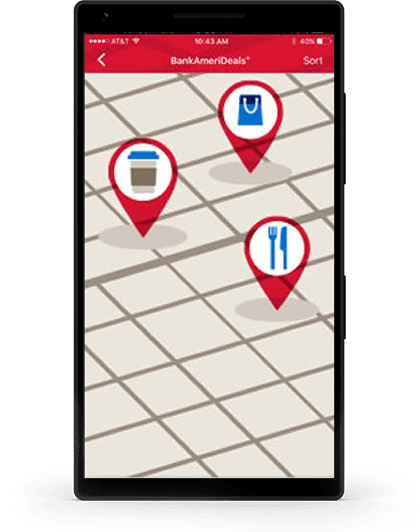 With the app, find deals around you and earn cash back into your checking account. 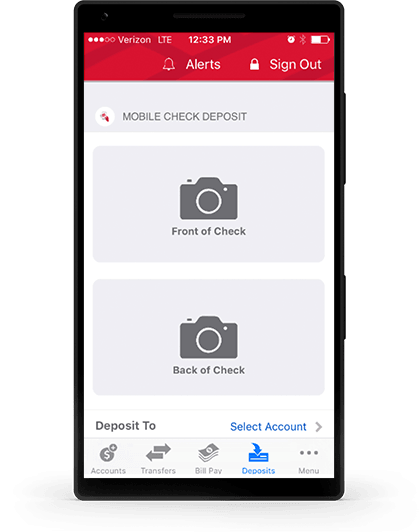 Use the app to deposit checks with your smartphone or tablet. Lost your card? 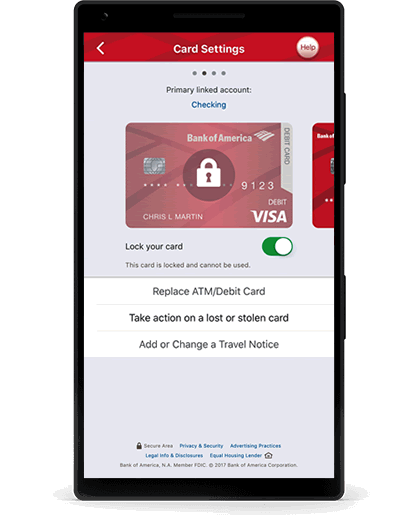 Temporarily lock it from the Mobile Banking app or Online Banking. Found it? Unlock it the same way. 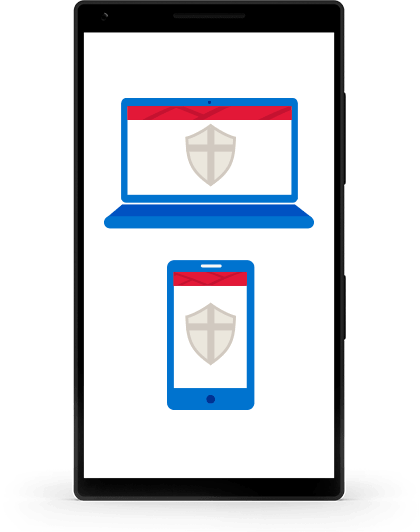 Our Online and Mobile Banking Security Guarantee helps protect you against fraudulent Online and Mobile Banking transactions. BankAmeriDeals, Bank of America and the Bank of America logo are registered trademarks of the Bank of America Corporation.